Lack Of Exposure To Consequences Presents A Moral Hazard. The Hon. Alex Kozinski, retired from the Ninth Circuit, and now an expert on moral hazard, has written an intriguing article in today's Friday, January 25, 2019 Wall Street Journal. The article is entitled, "How a Pointless Lawsuit Took Off." The lawsuit involved Rahinah Ibrahim, a Malaysian national and Stanford doctoral candidate, who discovered that she was on the government's no-fly list, barred from U.S. airlines and airspace. It was all a horrible mistake, an error resulting from a government agent who misread a form. But the government fought Ms. Ibrahim's efforts to be removed from the no-fly list for 14 years. According to Kozinski, "government officials knew about the mistake almost from the day of her arrest." Aside from the cost of time, effort, and emotional resources, the case consumed $3.6 million in attorney's fees. Kozinski argues government lawyers face no reality check: "Their salaries get paid regardless of outcome, and the costs of litigation are picked up by the taxpayers. . . Litigating for the government thus poses a moral hazard for lawyers: A victory, no matter how Pyrrhic, delayed or pointless, enhances their careers, whereas a loss -- even a finding of bad faith -- carries little risk." Kozinski's modest proposal is that the Equal Access to Justice Act, under which Ms. Ibrahim's laywers will get paid, absent a showing that the government's position "was substantially justified," be amended to stick government attorneys with personal responsibility for some share -- say 1% -- of the attorney's fees, upon a finding of bad faith. If Kozinski's proposal is enacted into law, we see a new cottage industry springing up. Courts will be forced to decide whether government attorneys acted in good faith as zealous advocates, or whether they were naughty and acted in bad faith. Every contentious case that government attorneys lose will potentially become an opportunity to tap the attorneys for some amount of fees -- one more reason not to work in the public sector. And we will have to create a new sidebar category on this blog for government attorneys. Off Topic: Happy Tenth Birthday To This Blog! We Can’t Believe The Time Has Flown By. As we age, we have all heard the adage that time seems to go even faster the older we get. Co-contributors Mike and Marc agree, at least with respect to doing ten years of blogging at this site since our first post on May 11, 2008. We hope you readers have found our posts useful and sometimes even humorous during the time you have been following us, for which we thank you all. 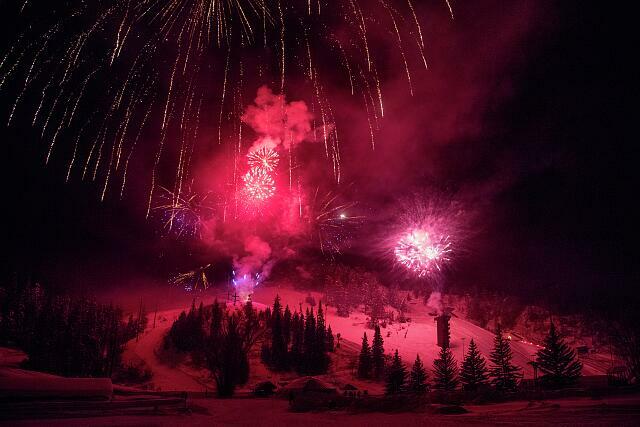 A fireworks show caps off the "Warmth of Winter" exhibition at the annual Winter Carnival in Steamboat Springs, Colorado. Carol M Highsmith, photographer. 2016. Library of Congress. A Review of Ari Berman's Book, Give Us The Ballot: The Modern Struggle For Voting Rights In America. Co-contributor Marc has written a review of Ari Berman's book, "Give Us The Ballot." The review, which appears in the latest issue of California Litigation, the journal of the California State Bar, is republished here, with the permission of the State Bar. Amount Of Litigation And Lots Of New Laws Cited As Factors, And Certain Types Of Litigation Identified As Behind The Rating. Dante's 6th Circle of Hell. Wikimedia Commons. Gustave Dore. Florida came in at #1, California at #2, City of St. Louis, MO Circuit Court at #3, New York City’s Asbestos Litigation Court at #4, Philadelphia Court of Common Pleas (especially its Complex Litigation Center) at #5, New Jersey at #6, Madison and Cook Counties, Ill. at #7, and Louisiana at #8. The 2017 Report especially cited these areas as a basis for the ranking: PAGA (intended to protected employees); Proposition 65 (intended to protect public health); false advertising (food labels) (intended to protect consumers), noting that the N.D. California federal court is sometimes dubbed the “Food Court;” innovator product liability theory; CEQA; public nuisance laws; asbestos/talc; some abusive personal injury suits in the aftermath of California fires; and ADA. COMMENT: ATRA looks askance at legislation and regulations that add to the cost of doing business, e.g., laws and regulations designed to protect employees, consumers, and the environment. Such protections are enforced through private lawsuits, because states lack the resources to fully enforce protections of health, welfare, safety, and the environment. Hence, ATRA and the U.S. Chamber of Commerce, on the one hand, and trial attorneys on the other, have been historical adversaries. U.S. Has A Global Ranking Of 18, Behind The Czech Republic And Ahead Of The Republic Of Korea. In the November 2017 issue of the ABA Journal, there is an article summarizing the results of the October 2016 edition of the Rule of Law Index, which is collected by the World Justice Project (an independent nonprofit organization with offices in D.C. and Seattle). It ranks 113 different global nations on a Rule of Law Index. The index’s analytical framework is built on an inverted pyramid of elements, starting with the four universal principles of the rule of law: accountability by government and private entities; laws being clear, publicized, stable, and just, applied evenly, and protecting fundamental rights; the process by which laws are enacted, administered, and enforced are accessible, fair, and efficient; and justice is delivered in a timely fashion by competent, ethical and independent representatives and others who are supported by adequate resources and reflect the makeup of the communities they serve. There are other subfactors flowing from these universal principles which were utilized, with the data coming from surveys of 1,000 residents in each country’s three largest cities and questionnaires completed by in-country practitioners/academics with expertise in civil/commercial law, criminal justice, labor law, and public health. The 2016 results show that Denmark, followed by Norway, Finland, Sweden, and the Netherlands, are at the top of the global rankings. The United States came in at No. 18, just behind the Czech Republic and just ahead of the Republic of Korea. At the bottom were countries such as Egypt, Afghanistan, Cambodia, and Venezuela. So, why 18th for the U.S.? According to the article, the main problem was access to and affordability of civil justice services, which brought a comparatively low ranking for the U.S. However, the U.S. did well in areas such as constraints on government power, regulatory enforcement, open government, and absence of corruption. COMMENT: The Rule of Law survey should also be considered in light of the research conducted by Yascha Mounk, a Harvard lecturer, and Roberto Stefan Foa, a political scientist at the University of Melbourne. Their conclusions are summarized in a December 8, 2016 article available on line, and entitled, "Yes, people really are turning away from democracy." Their conclusions about trends: (1) a greater share of young people is neutral about living in a democracy; (2) a greater share of young people living in longstanding democracies claim that democracy is a bad or very bad way to run their country; (3) young Americans are more open to having a "strong leader"; (3) radicalism has risen among respondents aged 14 to 35 during the period 2005-2014, as compared to the period 1990-1995; (4) a rising share of respondents, including in the United States, favor a strong leader over elections. These trends fall under the rubric of "democratic backsliding." SUGGESTED FOR FURTHER READING: Tom Bingham, The Rule of Law (2011). Just In Case You've Ever Wondered What Your Bloggers Sound Like When They Push Aside The Keyboard And Pick Up A Microphone. Terry Jesse, the Executive Director of the National Association of Legal Fee Analysis (NALFA), headquartered in Chicago, interviewed us, your faithful bloggers, on (what else) the subject of attorney's fees. Click here for a link to the podcast. Note: We had trouble accessing the podcast with Google Chrome, but not with Firefox. The Birthday Cake. Harry Whittier Frees, photographer. 1914. Library of Congress. We were inspired by an insight in an opinion: "All too often attorney fees become the tail that wags the dog in litigation." Deane Gardenhome Assn. v. Dentkas, 13 Cal.App.4th 1394, 1399 (1993). Many of the more than four thousand posts in our blawg support the wisdom of that insight. We have received countless phone calls, emails, and comments about the posts, and we greatly appreciate our lively, interested, and involved readers. To date, our blog has received over 1.8 million pageviews. Happy New Year To All Our Readers ! 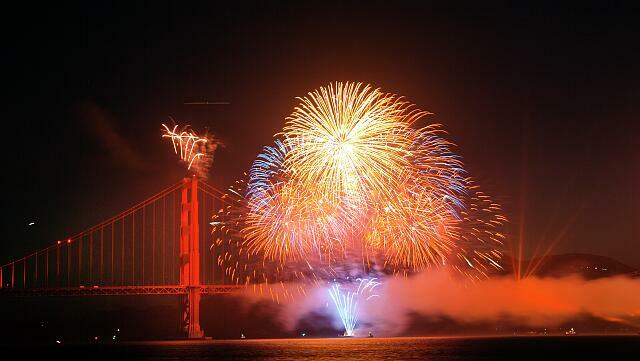 Golden Gate Bridge, 75th anniversary fireworks. Carol M. Highsmith, photographer. 2012. Library of Congress. One More “Hot Button Issue” For The Courts . . .
Co-contributor Marc Alexander, who publishes the blog California Mediation and Arbitration, explains in the latest volume of California Litigation, that arbitration has become one more "hot button issue" for the U.S. Supreme Court Justices to disagree about. The article is republished here with the permission of the California State Bar. Happy Mother’s Day To You Moms Out There Also! Wow, seems like just yesterday. On May 11, 2016, we celebrate eight years of activity on this blog. Hope you readers have found it helpful. We also extend Happy Mother’s Day to all of you Moms out there. Below: "First Lady of the United States of America, Michelle Obama, Prince Harry of Wales, and Jill Biden help military children create Mother's Day cards and other crafts in the State Dining Room of the White House on 9 May 2013. The children presented the gifts to their mothers during the Joining Forces Military Mother's Day Tea in the East Room." From Wikipedia entry for Mother's Day. The hook for 1912. 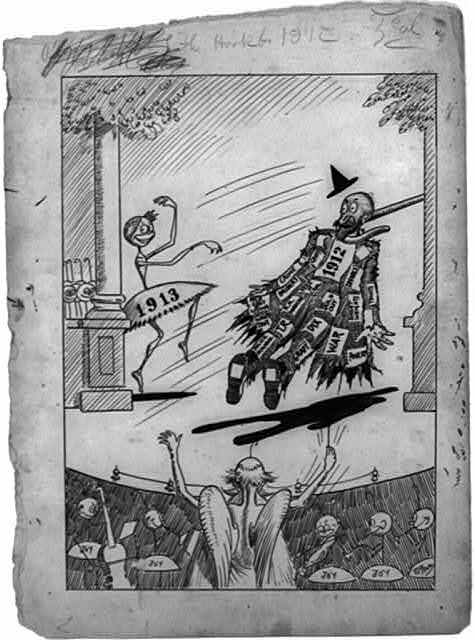 Thomas E. Powers, cartoonist. Library of Congress. Salem Village, Massachusetts Was The Instigating Place. The October 2015 edition of the ABA Journal has an interesting article about the history of witch trials in Salem Village (now, Danvers) and other nearby towns in Massachusetts Bay Colony during English rule. These witch trials through the court of oyer and terminer allowed the sitting members to consider “spectral evidence”—testimony about paranormal phenomena. Hangings then began for convicted persons; between August 5 and September 17, 1692, 20 defendants were tried and condemned for witchcraft (19 were hung and 1 was pressed to death under a rock for refusing to confess). However, in early October 1692, Governor Phips declared the use of spectral evidence illegal in the court of oyer and terminer, eventually disbanding the court altogether on October 29. Those awaiting trial were released and those condemned to death were pardoned. In 1711, the Massachusetts legislature voted to absolve those accused of witchcraft and offered restitution. In 1957, the Commonwealth of Massachusetts apologized for what had taken place in Salem and adjoining villages under color of law. Case of Conscience Concerning evil Spirits by Increase Mather. (Boston, 1693). Library of Congress. Off Topics: Seventh Happy Birthday To Us! 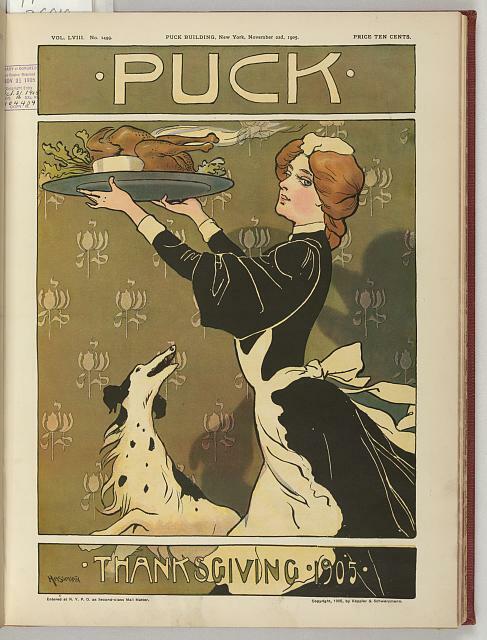 We say thanks to all of our readers and followers. Our inaugural post was on May 11, 2008, so this looks like today is our seventh blog “birthday.” Can’t believe it, and keep following us – whoever you are! – and thanks for doing so. 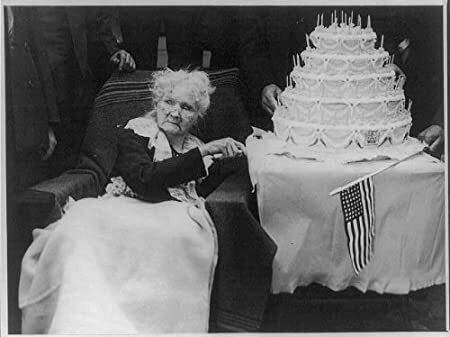 Mary Harris “Mother” Jones (1837-1930) cuts her birthday cake. “Pray for the dead and fight like hell for the living.” -- attributed to Mother Jones. Published by The Daily Journal on April 17, 2015, co-contributor Marc’s article on the legal perils of blogging will interest those of you who blog, or who are considering blogging. With the permission of the Daily Journal, we are making it available to our readers. Click here if you wish to read it. Note you may have to rotate the article in your viewer or enlarge the text to make it easier to read. Unfairness of Using Privilege as a Shield Justified Writ Issuance. In Anten v. Superior Court (Weintraub Tobin Chediak Coleman Grodin), Case No. B258437 (2d Dist., Div. 1 Jan. 30, 2015) (published), the appellate court issued writ relief in determining that a nonsuing, joint client cannot shelter relevant communications as privileged in a suit alleging breach of duty by a suing, joint client against the attorneys formerly representing the joint clients. Presiding Justice Rothschild authored the opinion on behalf of a 3-0 panel. 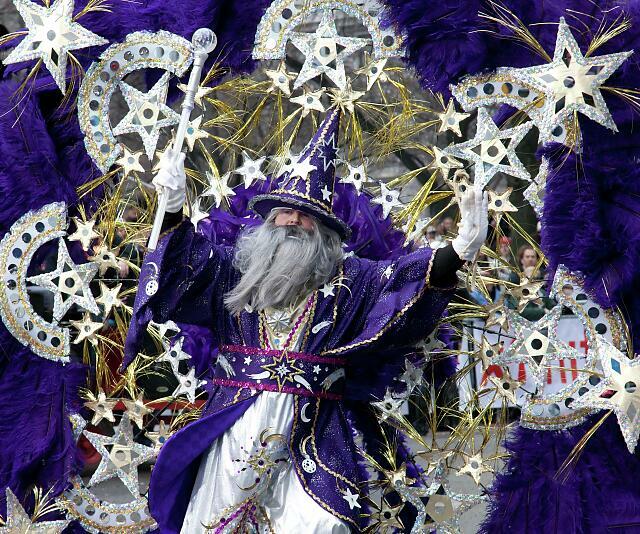 Mummers Day Parade on New Year’s day, Philadelphia, Pennsylvania. Carol M. Highsmith, photographer. Library of Congress. Good Record Despite Financial Cutbacks. If one goes by the 2013 Court Statistics issued by the Judicial Council (using fiscal year 2012 as an indicator), the courts at all levels in California are doing a good job of managing cases and disposing of appellate causes—somewhat surprising given financial cuts. We provide some of highlights that caught our attention for the 2012 fiscal year. Published court of appeal statewide publication rate: 8%; however, rate went up to 17% for original proceedings (writs). Number of court of appeal decisions depublished: 14. Court of appeal disposition percentages: for all appeals – 87% affirmed; 10% reversed; and 3% dismissed. For civil appeals – 79% affirmed (includes without and with modifications); 18% reversed; and 3% dismissed. Original proceeding disposition rate: of the statewide total at court of appeal level, only about 6.3% were disposed of through written opinions (published and unpublished, with only 17% being published). Means over 93% were summarily denied or disposed of through a shorter written order. Supreme court petition for review grant rate: 4%. 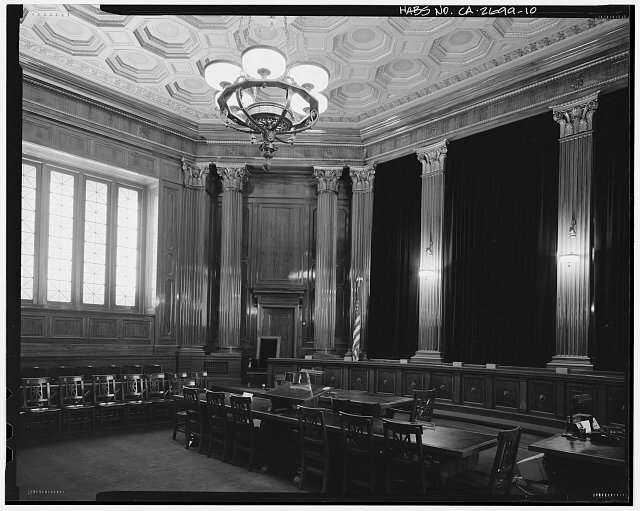 California Supreme Court Room looking southeast. Tom Zimmerman, creator. Library of Congress. Superior court clearance and disposition rates: superior court dispositions kept up with filing rates and superior courts kept up with state-mandated disposition schedules. Civil court disposition rates in superior courts: 81% resolved before trial; 19% resolved after trial. Of the trials, 4% were jury, 79% were bench (court), and 17% were trials de novo. It is with sadness that we report that Raymond G. (Ray) Alvarado recently passed away. He is a founding member of AlvaradoSmith, where co-contributors Marc and Mike have practiced since February 2008. Ray is a giant in the Orange County legal community and a “name” partner/shareholder in several firms. Ray had a ready smile, liked people, and loved the law. We will miss him. Florence McAuliffe Was A Man. HAT TIP to Gabriel McAuliffe of Sacramento, the great-nephew of Florence McAuliffe (1886-1957). Gabriel McAuliffe also informed us that his great-uncle lived in the Olympic Club in San Francisco, and was one of the early benefactors of Saint Anthony’s Dining Room for the homeless in San Francisco. Thanks, Gabriel. 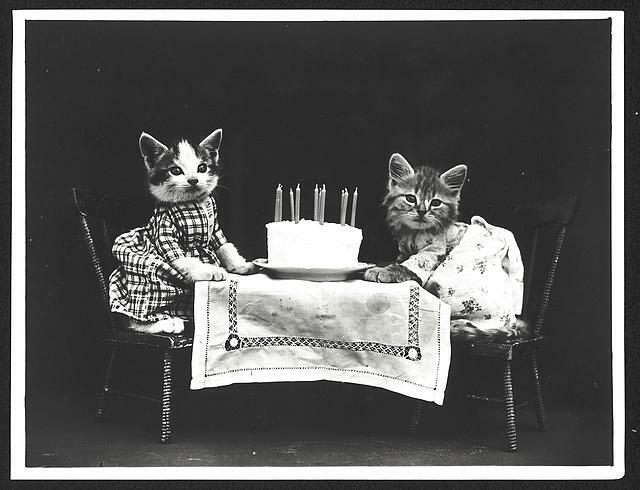 Happy Sixth Birthday To Us And Thanks To Readers Out There. 1934. Cutting the cake at Pres. 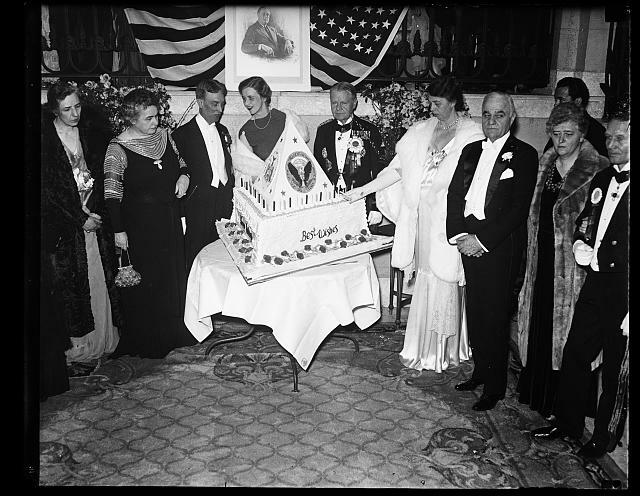 Roosevelt’s Birthday Ball. Library of Congress. It Also Has A Good Discussion of the Difference Between Holdings and Dicta. Although not involving fee issues, we had to share two aspects of Justice Yegan’s eloquently written opinion in Marriage of Boswell, Case No. B249141 (2d Dist., Div. 6 Apr. 28, 2014) (published). The second aspect is a nice discussion of the difference between holdings and dicta—you will enjoy it. Annual Coverage, Contractual Coverage, Statutory Coverage (Under Some Statutes), And Multiple/Possible Exposure Coverage Available. Because most standard insurance policies do not cover adverse attorney’s fees awards, we have informed you over the last few years about a suite of litigation insurance policies designed to protect plaintiffs and defendants from the risk of having to pay their adversary’s attorney’s fees in litigation, in arbitration, and before a regulatory body. The products are carried by Sonora Risk Insurance Agency. Sonoma Risk has now expanded its Attorneys’ Fees Risk Insurance (AFRI) suite of products, which initially covered only contract disputes (Contract Litigation Insurance or CLI), to also include these products: Annual Attorney’s Fees Edge (AAFE) – insurance coverage for fee awards with coverage limits beginning at $10,000 and going up to $100,000 to cover situations even before litigation is commenced on an annual basis; Statutory Attorneys’ Fees Edge (SAFE)—coverage for the risk of paying an opponent’s attorney’s fees arising out of many federal or state statutes; and Court Awarded Annual Attorneys’ Fees Edge (CAFE)—coverage for the risk of paying fees where there are multiple exposures of paying an adversary’s attorney’s fees or where the exposure of loser pays is a possibility, but not yet clearly identified. It looks like the venues being covered has expanded, too: state court; federal court; cases filed in arbitration; and cases before a regulatory body. Appeals Decided At A Low Number From 2005; Reverse Rate Only 18%; Most Appeals Decided Within 15 Months. HAT TIP--We give a “hat tip” to fellow blogger Greg May (The California Blog of Appeal) for providing some summaries of the “2013 Court Statistics Report: Statewide Caseload Trends 2002-2003 through 2011-2012,” focusing mainly on fiscal year 2012 end results for California appellate courts. 1. Number of contested appeals per justice -- 209, lowest number since 2005. 2. Appeal type distributions -- more than 40% criminal; a little over 20% juvenile dependency. 3. Civil appeal reversal rates -- 18%. 4. Appeal “Lag Time” -- 90% appeals resulted in written opinions within 15 months from filing of the notice of appeal. In the November 2013 edition of the ABA Journal, there is a list of 10 pivotal past trials, which we repeat by category. *Guilt and Ignorance -- God punishes Adam and Eve, and the Serpent. Garden of Eden, after the 7th day. *Treason -- English Parliament puts King Charles I on trial. London, 1649. *Illegal Voting -- Susan B. Anthony is convicted for casting a ballot. Canandaigua, N.Y., 1873. *Misconduct -- Clarence Darrow is tried on charges of bribing jurors. Los Angeles, CA, 1912. *Race and Immigration -- A court decides who is white under the law (Dow v. United States). Charleston, S.C., 1915. *War Crimes -- An Allied tribunal brings Nazi leaders to account. Nuremberg, Germany, 1945. *Desegregation -- The U.S. Supreme Court rejects the separate but equal doctrine (Brown v. Board of Education). Washington, D.C., 1954. *Crimes Against Humanity -- Adolf Eichmann is convicted for his role in the “Final Solution.” Jerusalem, Israel, 1961. *Sabotage -- Nelson Mandela is spared from a death sentence. Pretoria, South Africa, 1964. *War Crimes -- Serb leader Slobodan Milosevic is tried by an international tribunal. The Hague, Netherlands, 2002. According to Law.com, the Survey of Law Firm Economics showed firms with more than 150 attorneys had an 8.5% increase in revenues per attorney this year as compared with the same period through third quarter 2012. However, firms or offices with 1-9 attorneys saw revenue decrease 8% over the same time frame. To demonstrate that the economy is improving somewhat, for firms of all sizes, per-lawyer income increased by 1.1% in 2012, compared to a 4.2% decrease in 2011. ABA List of 25 Greatest Law Novels. Grisham, Dickens, and Melville were authors having two books on the list. U.S. District Judge Otis Wright Blasts Copyright Suing Attorneys. Wage/Hour Claims Soar in Federal Courts Since 2008. Seyfarth Shaw’s Wage & Hour Litigation Blog, in a May 9, 2013 post, reports that since 2008, the number of wage/hour claims filed in federal court has steadily increased: 5,302 actions filed in 2008; 5,644 in 2009; 6,081 in 2010; 7,008 in 2012; and 7,764 so far in 2013. Changing Expectations of Pre-Law Students. Kaplan Test Prep survey of April 11, 2013 informs us that 50% of pre-law students expect to use their law degree in a nontraditional legal job. State Court Decision Differs from Federal Opinions on the Topic. Although this is maybe a little off topic, Walley v. Superior Court (Hoover), Case No. G048340 (4th Dist., Div. 3 July 24, 2013) (unpublished) is an interesting writ proceeding where an attorney challenged a lower court order to disclose invoices and accounting documents transmitted to him during his representation by another outside law firm in a case filed by a third party, putative “client” against the writ-seeking attorney. Attorney prevailed in the writ proceeding, in a by-the-court decision endorsed by Justices O’Leary, Fybel, and Thompson. The appellate court overturned the lower court ruling, after staying the production order while the writ proceeding wound through the system. The attorney-client privilege indeed prevailed. “The parties have not cited any California case, and we have found none, which specifically analyzes whether attorney accounting records transmitted to the client constitute attorney-client confidential communications within the meaning of Evidence Code section 952. While a few cases assume attorney billing statements are confidential communications in other contexts, no California case has examined the application of the privilege to such documentation and communications in the context of discovery,” citing cases approving submission of redacted billings in order to uphold the privilege in attorney fee proceedings. (Slip Opn., pp. 9-10.) The confidential nature of the billings were buttressed by the fact the Legislature, in Business and Professions Code section 6149, mandated that written fee contracts between clients and attorneys are confidential communications. Walley also did not find persuasive federal cases holding billings were not confidential in nature. Most importantly, in a footnote, the appellate court found that all of the cited cases predate the enactment of Business and Professions Code section 6149, with California law “trumping” federal law on the subject. BLOG OBSERVATION: This really is a first impression case. Its reasoning and cited cases on fee proceedings--Banning v. Newdow, 119 Cal.App.4th 438 (2004) and Smith v. Laguna Sur Villas Community Assn., 79 Cal.App.4th 639, 645-646 (2000)--would be useful in supporting submission of redacted fee billings in support of a fee petition, if the redactions are done selectively to safeguard confidential attorney-client communications. For published cases or previous posts on unpublished cases relating to redacted billing submissions, see Jaramillo v. County of Orange, 200 Cal.App.4th 811, 829-830 (2011) [4th Dist., Div. 3; Rylaarsdam, J.] [condoning use of more generalized billing entries if attorney-client privilege jeopardized]; Johnson v. Bd. of Education of Bakersfield City School Dist., Case No. F059702 (5th Dist. March 29, 2011) [unpublished, reviewed in our March 31, 2011 post] [error for lower court to discount fees altogether where heavily redacted billings were submitted]; City of Lake Forest v. Lake Forest BodyCentre, Case No. G043301 (4th Dist., Div. 3 Feb. 9, 2012) [unpublished; Fybel, J., reviewed in our Feb. 10, 2011 post] [remand where severely redacted billings used so no meaningful review was possible]; Fuller v. Monogram Real Estate, Case No. G044808 (4th Dist., Div. 3 Dec. 19, 2011) [unpublished; O’Leary, A.P.J., reviewed in our Dec. 20, 2011 post] [suggesting compromise where heavily redacted billings being used: either waive the privilege or present more detail in the attorney declaration submitted in support of the fee motion]. Five Years Of Blogging . . . . Can You Believe It? May 11, 2008 was our first blog. We can now announce this is our fifth year of attempting to provide all of our readers with instructive information on how courts address attorney’s fees requests, as well as newsworthy related items and off topic posts once in a while. Thanks to you, our readers and audience, we have had well over 1,000,000 visits to our blog. Another accomplishment: Co-contributor Marc has yet to commit any acts of aggression against co-contributor Mike stemming from blogging activities . . . and vice versa. Happy Birthday to us. About $1 Million in Fees Awarded in Bullet Train Settlement. Although the bullet train proposal in California has generated a lot of controversy, Juliet Williams of the AP, in an April 19, 2013 article in The Orange County Register, reports that a Sacramento County Superior Court approved a settlement of a challenge from Central Valley farmers to the train. Under the settlement, the California High-Speed Rail Authority agreed to establish a $5 million fund to preserve farmland and pay nearly $1 million in legal fees to the groups that sued, mainly Madera/Merced County farm bureaus. The settlement also details how the Authority will work with landowners to acquire land along the proposed train route. Cell Phone Embarrassed Michigan Jurist Holds Himself in Contempt/Pays Fine. ABA Journal has some nice end-of-the-year articles that received a lot of hits or attention during 2012. Two caught our eye, so we share them with you before we say “Happy New Year” to all. Fiscal Cliff: Law School Graduate Debt in 2011. The average debt for law school graduates at private schools in 2011 was $125,000 compared to more than $75,000 for their counterparts at public schools, respective 17.6% and 10% increases from 2010. Coals to Newcastle: Top 30 Books for Lawyers. With that, we wish all of our readers and followers a Happy New Year! California Tops the “Hellhole” List, Displacing Philadelphia. *ATRA also commended the California Supreme Court for its decision in O’Neil v. Crane Co., 53 Cal.4th 355 (2012), where our state high court ruled that companies generally are not liable for component products that are attached to or installed on their products after sale. Disclaimer: We note that the ATRA entry in Wikipedia states that it has been nominated to be checked for neutrality. ATRA is an advocacy group that, according to the Wikipedia entry, is supported by "more than 300 businesses, corporations, municipalities, associations, and professional firms." . "Tort reform" is a politically contentious issue and a loaded term subject to different points of view. Ernst Haeckel. Acanthophracta. Kunstformen der Natur (1904). To all of our readers, thanks for the support, kind words, feedback, and the like. This blog is four years old, dating back to May 11, 2008. Wow! Happy 4th Birthday. Will Clayton, photographer. flickr creative commons license. Okay, we digress a bit, but we share this gem from the recent American Bar Association Journal, a classic for any litigator. Judge: Does anybody on the panel know the defendant or any of the lawyers? Judge: Which person do you know? Judge: How do you know the defendant? Prospective juror: I bought crack from him. The judge excused the entire panel." The Age of Drugs. 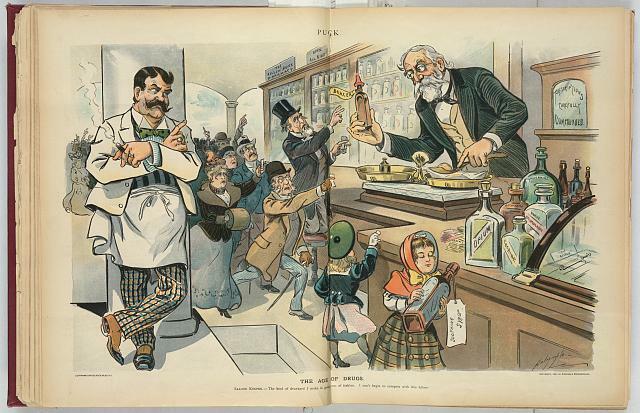 Illustration shows the interior of a drugstore with an elderly man, the pharmacist, dispensing a "Bracer" to a crowd of eager consumers, while a young girl secures a bottle of "Soothing Syrup." On the counter are bottles and packets of "Arsenic, Strychnine, Antipyrin, Nerve Stimulant, Opium, Cocaine" and "The Needle." Signs on the wall state "The Killem' Quick Pharmacy," "Open all night," and "Prescriptions carefully compounded." The saloon keeper leans against a column and laments that he cannot "begin to compete with" the drug trade. Louis Dalrymple, artist. Library of Congress. ADR: More Dog, Less Tail? Co-contributor Marc has launched a new blawg: California Mediation and Arbitration at http://www.calmediation.org. The purpose of this blawg is to provide a current and ongoing discussion of California case law and developments concerning mediation and arbitration -- the two most common varieties of “alternative dispute resolution” (ADR). This new blawg is a natural offshoot of Marc’s work on CalAttorneysFees, to which he is a co-contributor, along with his long-time colleague Mike Hensley. As the Mission Statement of CalAttorneysFees notes, attorney’s fees are often (too often) the “tail that wags the dog” of litigation. ADR is an alternative that at its best is more efficient and economical, and less painful than a lawsuit. Marc, who will also be applying his experience as a civil litigator to providing mediation services, invites your comments and input. You are invited to visit the new blawg. Dr. Martin Luther King, Jr. January 15, 1929 – April 4, 1968.